Cal Fire officials say the cause of the County Fire burning near Lake Berryessa was sparked by an improperly installed electric livestock fence. NAPA COUNTY, Calif. (KGO) -- Cal Fire officials say the cause of the County Fire burning near Lake Berryessa was sparked by an improperly installed electric livestock fence. The County Fire started in the community of Guinda on June 30, 2018 in the county of Yolo. 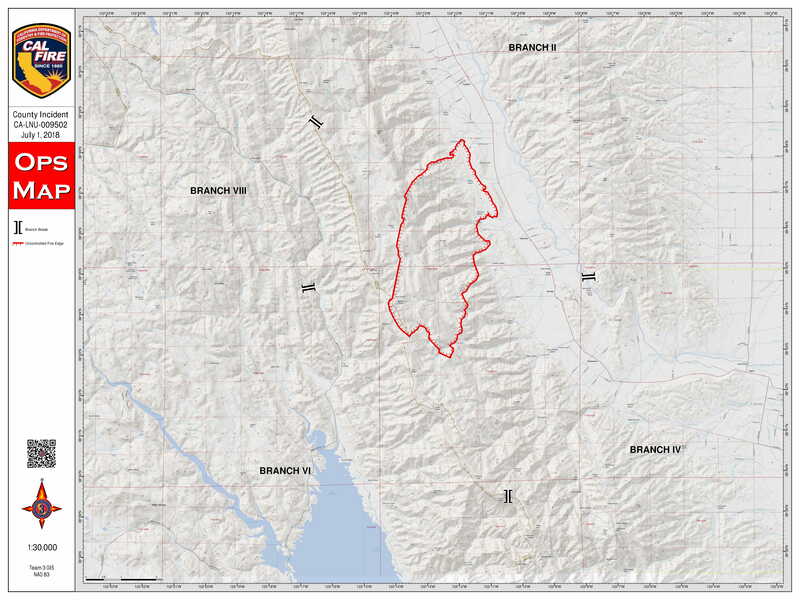 So far, this massive fire has scorched 90,288 acres and is now 86 percent contained. Brown said the blaze started 11 days ago and is surging through rugged terrain northwest of Sacramento amid hot and dry weather.